This is a concise sample to help get Solid PDF Tools up and running. This short tutorial shows you how you can unlock Solid PDF Tools after purchasing a license. Unlocking your Trial Version of Solid PDF Tools After Purchasing a Solid PDF Tools License. 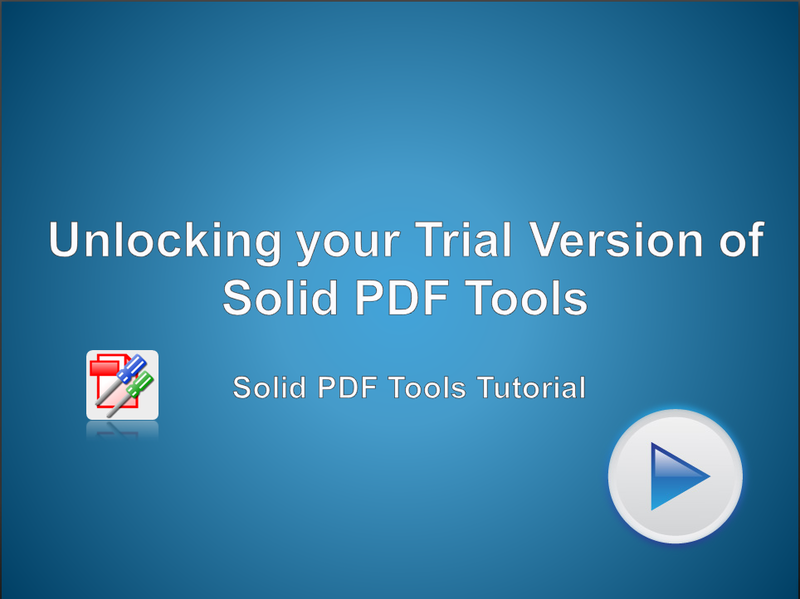 Unlock your trial version of Solid PDF Tools.